Mitch truly believes in the healing power of the arts and loves to share her love of art with anyone who will sit down and pick up a paintbrush, crayon, pencil, soft pastels, scissors and anything one can find for use in a creative process. Sayon is an unusually gifted teacher with a rare sensitivity to the student’s perspective. You will find Sayon’s teaching and performance of the traditional musical rhythms for the djembe and dounoun, and the songs and stories of the Malinke people to be passionately and respectfully infused with the gentle, electrifying warmth of pure joy, and patiently delivered with precise crystalline clarity and a relentlessly impeccable sense of time. Currently, Sayon resides in the United States where he conducts classes for students of all ages and walks of life, as well as workshops and performances throughout the US, in Canada, Japan and the world, giving us all direct access to the knowledge he stewards, as a brilliant Guinean musician who is dedicated to lovingly sharing the rich music of his native culture with others. To learn more visit https://sayoncamaradrumming.com/ . 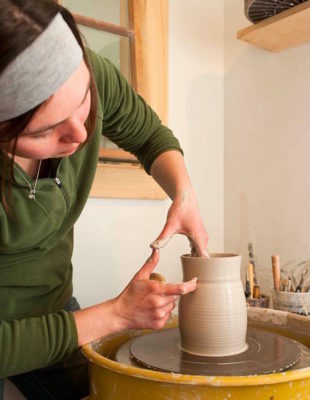 Stephanie is the owner of Third Branch Pottery in Randolph, Vermont. She splits her time between her pottery business and working as a para-educator in a preschool program. 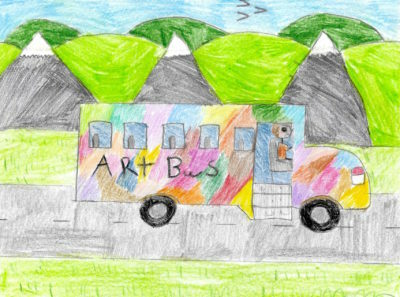 Stephanie teaches a variety of process based art with the Arts Bus including pottery and painting. 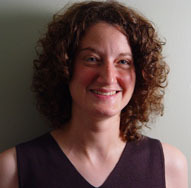 When she is not teaching or creating pottery, Stephanie enjoys spending time with her two children. 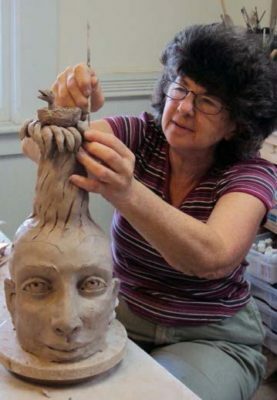 Sandra owns Bianchi Studios in Barre, Vermont where she specializes in sculptural, hand built ceramics. 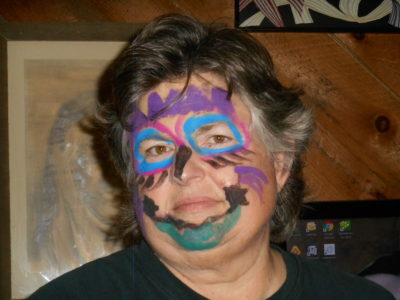 She has over 30 years experience working in early education, after school programs and arts programming. She brings a versatile background to the Arts Bus, working with clay, print making, painting and sculptural work. She is truly a “jack of all trades”! Georgia has been an artist and craftsperson for over 30 years, moving between paint, cloth, clay, and sometimes all three. 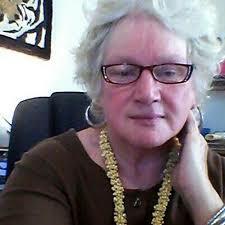 She has remained focused on the human form, using it emotionally, pictorially, or abstractly. Her inspiration comes from mythology, as well as the plant and animal life that surrounds her. Georgia reveals affection for these creatures, which are essentially human, though they transform into part animal, part plant beings.